Vassana Virtual Services is a small business that will take care of all those mundane tasks that are holding you back from progressing. They provide a varied range of administrative services like, email management, secretarial services, call services etc call them for a quick discussion. Their work range is huge and they can handle large business operations without any problem. Client management is their vital service. Want your clients to be introduced by fresh and professional individuals that will inform you about how your company works and what you require from them. It will give more personable approach to your clients and better experience. They can also inform you about your meetings before they occur and organize them for you. Their admin service are also broad and extremely useful for larger companies. They have expert and experienced work force that can do letter writing, data entry, appointment booking, events planning and management, and email management. Email management is in particular a great service if your company receives tons of email messages daily. The next service package are their lovely secretarial services where they can respond to any inquiry from potential or ongoing customers. They can do those presentations and explanations that you normally do or did 100 times before. On top of that they can offer great support when event planning is in questions. We all know how hard is to organize a good conference or seminar. There are stressful moments that we all want to avoid. Well, this will be all settled with the Vasana Services’ Event Planning. From sourcing venues to sending invitations, their event planning services will make your stressful periods, much more relaxing. Having a company like Vasana Services is a great asset to any company. They can really help you take things to another level. They offer affordable rates and professional service! Press Release – Cover Canvas, create beautiful Facebook Covers and Twitter Headers using your iPhone. London, 26.09.2015 Do you want to create beautiful cover photos with ease and later use them on your Twitter and Facebook profiles? Cover Canvas, the lovely iOS app, will enable you to do just that. It comes with over 100 professionally designed templates with custom designed collages and various themes for every occasion and holidays. All this can be accomplished with 3 simple steps. First pick a template then personalize it by adding/editing your own photo(s) & text and finally export it as your Facebook cover photo or Twitter Header. One of the major concerns with the cover and header photos was the quality of the image. The developers of the app made sure that both the Template quality and the quality of the photos that you add is retained while designing and exporting the cover photos and at the same time conforming to the guidelines provided by Facebook and Twitter. “On an average, Facebook and Twitter users change their cover/header photos once every month or based on special occasions and seasons. 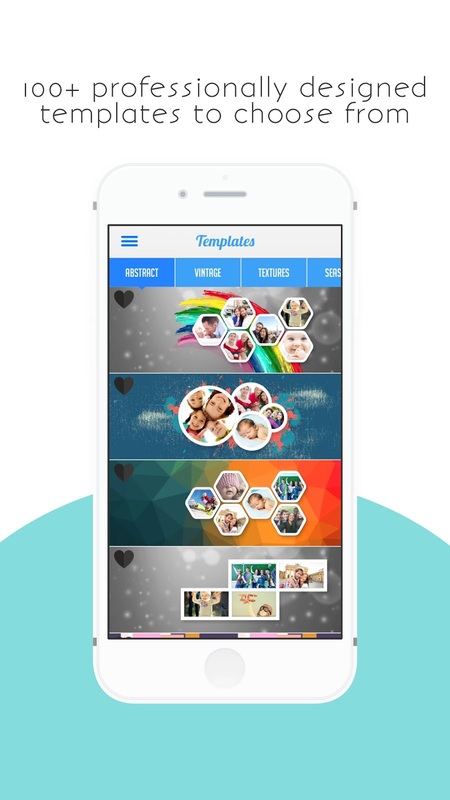 So far we haven’t found a decent app that can do this with the templates that the users are looking for. We have created Cover Canvas to address just that. With its slick UI, Cover Canvas allows you to easily change your Facebook cover and Twitter header with ease. There are tons of customization features that the users can implement and make their own private photos look awesome. Also, we update the templates weekly and it is automatically pushed to the app. No update needed”, stated Sai Kumar, the developer of Cover Canvas. With Cover Canvas you will definitely always have cool, fresh and interesting cover photos on both Twitter and Facebook profiles. The app is free to download and available on the App Store. Earth Invaders Reloaded is an ultra-exciting Android retro game that has largely impressed us because we simply adored Android classic arcade games. The story line is simple, you need stop the earth invaders and destroy all of the obstacles that are trying to destroy you. You will have all of the classic space invaders weapons. The controls of the game are simple, you need to tilt your phone or tablet to move the ship and to tap anywhere to shoot. It is a great retro game, simply, the movements are fast, the tilt reacts perfectly and you will feel that urge to destroy the very last alien. You will also have great urge to beat your high score. 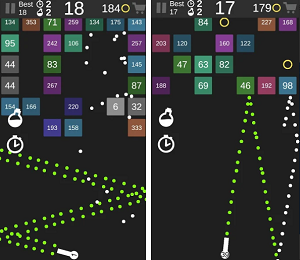 It is one of those games that you get addicted to, but in a fun way, not a frustrating way. It is one of the most challenging classic arcade games currently on Google Play. The levels are very challenging. It is interesting how this game is actually an updated version of the one released in 2013. Earth Invaders Reloaded also features great sound effects and soundtrack. Get it for free on Google Play. FullSubmission is a service that can be of great help for website and business owners that want to have better and more meaningful online presence. We wanted to do a short review and presentation of their services because they certainly can be of great value for anyone. They are an experienced group of professionals that is in business from 2001. Their first service is website submission. This service can be of great value to anyone, but mostly to new websites. With it, Fullsubmission will submit your website in an effective manner to more than 997k search engines, directories, indexes and link pages. They can be of great help for your SEO, visibility and can give you a great starting boost. Ok, let’s say your website is good, it looks beautiful, but it is lacking visitors. You want to make money from ads, affiliate marketing and other methods, but simply there aren’t too much visitors on your website. Well you can get visitors from FullSubmission. These are guaranteed visitors and depending from your needs FullSubmission can provide you with up to 5 million page views. These are all real visitors and the prices for them are really economical. On the other hand if you need help for social media marketing, Full Submission can help you here as well. They offer great Facebook fan page traffic and can provide you with content likes from real profiles. These are real people, that have interest in your niche and they will do natural actions. They are great for both business and individual pages. When we compared the quality and the prices of FullSubmission and the other similar services, we got a clear winner. FullSubmission is in the business for over 14 years, it has competitive prices and you are getting a lot of features for affordable prices. They are to contact and respond to any type of questions. They are practically one of the best companies that can help you in Online Marketing and SEO. Today we are going to talk about one reliable hosting provider that is one of the most affordable in the webhosting market. We are talking about Netider, web hosting company that has earned huge user base due the fact that they offer broad, quality and reliable hosting service. They are in business for 10 years and now we are going to see which are their best features and explain their broad packages. The great thing about Netider is that they offer 10 packages with different features and prices and you can either choose to pay monthly or yearly. In that way you will not have to overpay for some features you may never use. Their most affordable package is the one with 1000 MB of storage, 10GB Bandwidth, 99.9% of uptime, CloudLinux & CageFS, Free Site Builder and of course cPanel Control Panel. This is just for basic websites that don’t show a lot of videos and photos in them. Most of the other packages are just combination of these features we already mentioned, but in enhanced version. Their best package is the Platinum package that offers 50GB Storage, 500GB Bandwidth, 99.9% uptime, unlimited domains, sub domains, add-on domains, emails, different PHP versions, CloudLinux & CageFS, CloudFlare Plugin, cPanel Control Panel, Free SiteBuilder and most importantly daily/monthly offsite backup! This is crucial for big websites and this is truly an amazing package that has great value. The functionality of these features has been confirmed by many popular website that test the webhosting speed and information. We already noticed that many webhosting review website have praised Netider for its value, you are getting a quality web hosting for such an affordable prices. So, we can confirm that as well! Even though they are a small web hosting company, they work with integrity and dedication and they have outstanding customer support. They are here to help you always. Netider is not a big hosting company that will hide from its customers, on contrary it is a web hosting company that cares for their customers and that will do their best to please their needs. Wild Mystic Panda Slot Machine is one of the best new Android casino slot games that is currently trending on Google Play. It has quickly become one of our favorite casino slot games because of the great graphics, beatufiul music, amazing payouts and the lovely main character – the Chinese Panda. The whole games just looks and feels great and we are sure that it will represent a pure pleasure for anyone that wants to play it. So, lets see what this casino slot game has to offer. This slot casino game is also a 777 lucky kingdom of chips and gold coins. There are big winners in the game and you will really feel the spirit of Las Vegas and the casinos playing it. There are daily bonuses, but also Big Big Win and Big Big Jackpot that can get you loads of coins. This game has something in it that is so special and that every casino game lover will notice. 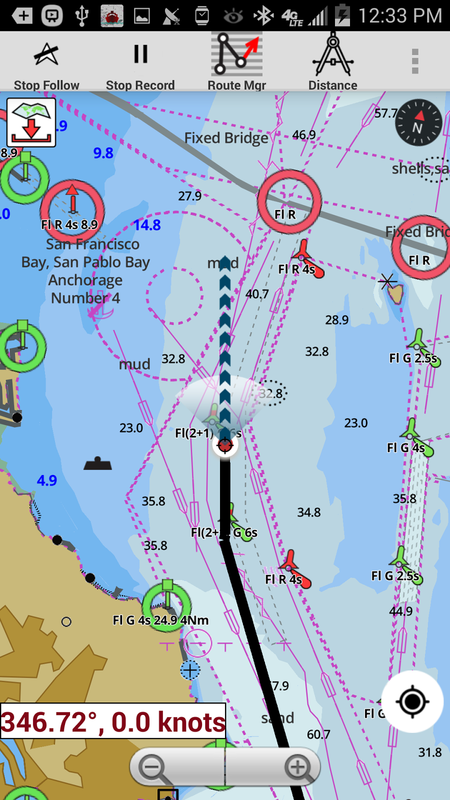 It looks and feels great on both Android tablets and smartphones. Get it for free on Google Play. Disk Xray is a Mac OS X software that can be used to speed up your Mac and make it more organized. It is a software that will give disk usage statistic like no other Mac software. 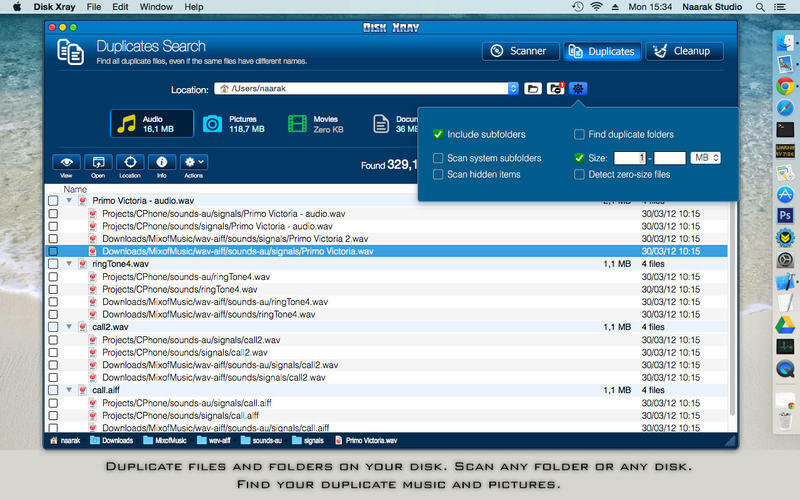 On top of that it will help you find all duplicate files and folders. But, one of its best functions is the cleanup features. Having a great software like this one can definitely help you in situations where you need to manage huge amounts of data and simply want to avoid duplication or get rid of some unneeded files. So, Disk Xray has 3 mean features/modules. The first one is the Folder Scanner. With it you can easily see which are your biggest folders and files. It is a feature that will enable you to see which files are maybe unneeded and which huge files you may want to delete if you want to release space and speed up your Mac. The second feature/module of Disk Xray is the Duplicate Files and Folders Finder. Like we said, this is a great feature for people that manage a lot of data on their Macs. This detailed analysis will show how many copies of the same document you have across your Mac. It will surely save you a lots of MBs and GBs. The last feature of Disk Xray is the Disk Cleaner. This feature will make your computer much faster and smoother. It will actually remove all of the temporary files on your Mac. 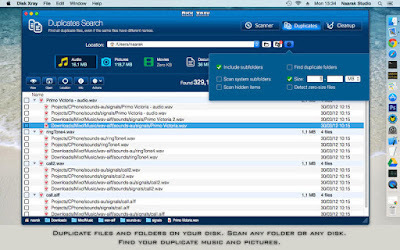 It is a fast and effective way to speed up your Mac and you can even delete larger files with it. You will be surprised of what the Disk Cleaner can do for your Mac’s health. This is a simple, fast and highly functional Mac software. It is intuitive, offers 3 basic features that can do tremendous amount of work for your Mac and make your user experience much better. Get it on the official website of Disk Xray or on the App Store. Dress Up Barbie Princess is a colorful, interesting, beautiful and educational kids game for the Android platform. We rarely do review of games that are intended for kids, but the truth is that they can really help parents in raising up their kids and helping them improve at many levels. The goal of the game is to take care of the princess. The princess needs different outfits, necklaces, accessories, purses and many other items to look beautiful. That is where your kids can learn about the name of different items, differentiate colors and enjoy their free time. There are many combinations that you can make. The game is comprehensive and it contains more than 80 accessories, hair styles, dresses and many other stuff that will keep your kids hyped and interested. There is even makeover and make up feature. You only have one Barbie princess though. The design of the items is lovely, the gameplay is simple, you only touch the items and they will be on the princess. The game is perfectly compatible with Android tablets as well. Get it for free on Google Play, it hours of fun for your kids. Contacts @Work is a free Business iOS app that will help you organize your professional life in the neatest and easiest way possible. It is a feature-rich organizer that will enable you to search and access the contact info from your colleagues very fast using Active Directory or Exchange. The app works in very convenient way and it will pull up amazing amount of relevant data about the place you work for. You will have all the detailed information about your colleagues and managers on your iPhone or iPad. The app is very clean, fast and highly functional. Like we said you will be able to search your colleagues by name, place, title or department. You will have their phone number, email, direct reports, manager and most importantly photo on your iOS device. What is great that is that you can send them email or call them with a single tap. If there are groups you can also search and see them and find their owners or members. If your company has conference rooms the app will also enable you to search through them, see their capacity and the exact location. This will make the organization of meeting much easier in the future. When it comes to your own use of the app. You can upload your own photo, view and edit your info in the Active Directory, see when your password will expire and change it. Contacts @Work is a great business app and it represents a neat tool to have on your iOS device. It will make things a lot easier at your workplace and the interaction and communication with your colleagues will be a lot better and smoother. It will make your Active Directory data live, relevant and useful! Get it for free on the App Store. 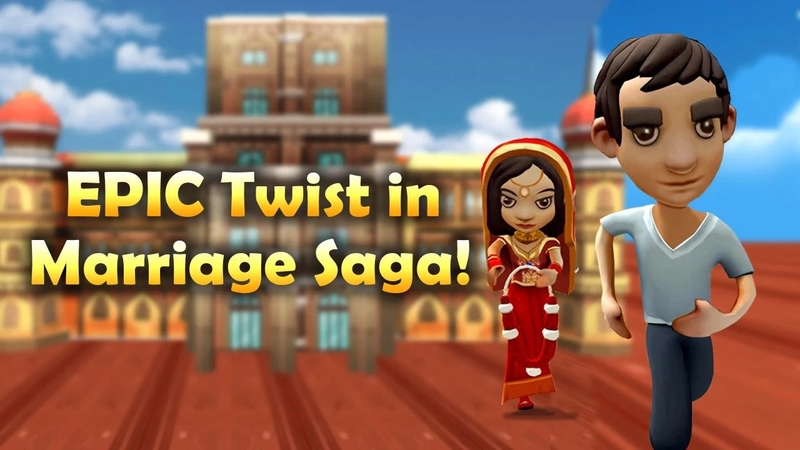 Arranged Marriage, an endless runner game, by Junglee Games, has been launched for Android devices. The 3D game features the beautiful landscape of India, be it a farm, a town or a highly sophisticated city! In this thrilling marathon, you have only one mission - to escape from forced arranged marriage by running as far as you can. The free game will test your reflexes and only the best runaway groom or bride can escape the arranged marriage. Jump above the temple fires or slide below the pillars while you collect coins to upgrade your character. Also, look out for incoming traffic in form of Indian auto rickshaws that will halt your run forever! You are never along in this Indian twist on runner games! You will get help from a gorgeous white horse that will help you go that extra mile. Also, collect coins while running and protect yourself from all obstacles with shields and magnets. You can collect even more coins with power ups, which will double all the coins you collect. The only thing you have to look out while playing this game is the incoming traffic which will cost your freedom to marry on your will! · Power Ups - Magnet, Shield and more. Considering the fact that the game is free to play, we will rate this game 4/5 for the gorgeous set up of Indian locations and the characters like bride, groom and of course, the horse! Want to know more about the game? Why don’t you check it out yourself? Today we will present you a software for Mac OS X that will be perfect for users that transfer files by FTP, SFTP i.e people that maintain a website, upload documents or photos, or upload videos on YouTube. We are talking about the software called Viper FTP. It is a clean, easy, fast and effective way to transfer FTP files. It is a feature rich software that can enhance your user experience and your file management a truly enjoyable process. The main feature of Viper FTP, like we already said, is to transfer files from FTP and it includes all of the most popular FTPs like SFTP, YouTube, WebDaw, Amazon S3 etc. When you do a file transfer, Viper FTP keeps everything on your account. You will be able to find the files easily later on. In terms of organization and navigating around the creators of Viper FTP have done extraordinary job. The search of the files and servers is blazing fast. You can easily bookmark any personal, work or social servers, group them and simply organize them. You can change the environment according to your needs. While you doing a file transfer, there is animated progress indicator that will help you follow the transfer and see the remaining time and transfer rate. Also all of your transfers are neatly organize din the Transfer Queue. Viper FTP has a built in zip file extractor as well that works with Zip, Rar, Gz and Tar archives. There is also a preview of images, video or any other type of files. Viper FTP makes the transferring the files over FTP neat, simple and efficient. It can really organize your transfers and make the job a lot easier for you. It is certainly a software that we highly recommend, because it has a lot of useful features, is intuitive and fast. 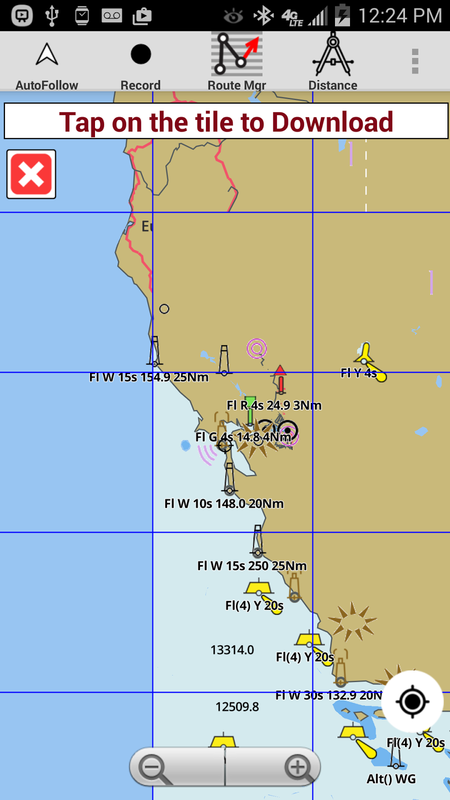 Viper FTP is free for the average users that only have one FTP account. Check the Lite version here. If you want the full set of features you need to buy the pro version. Here is the download page for both downloads. September 1, 2015. The stylish Android app, Grade Tracker Pro, launched one year ago on September 1, 2014 with high hopes and a long way to go. 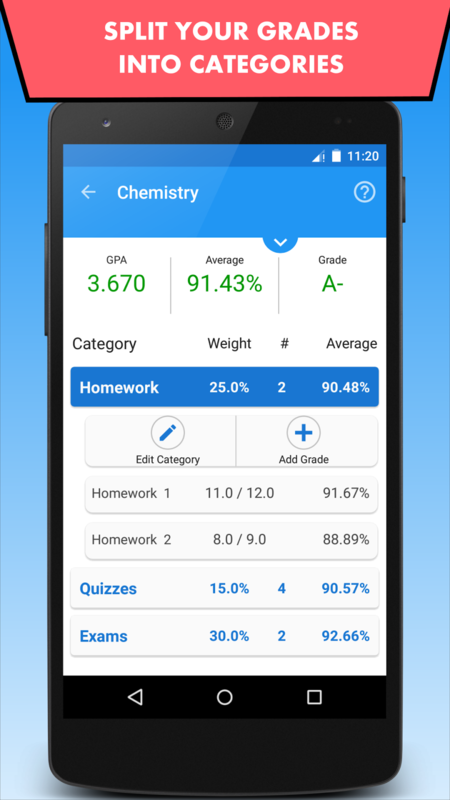 Now, with powerful new features and a cosmetic overhaul, it begins the new school year as the most downloaded and top-rated app for tracking student grades and GPA. It is clear from user feedback that Grade Tracker Pro is truly loved, achieving a 4.5/5 star rating from over 300 reviews and over 20,000 downloads. Students praise the app for providing a convenient and accurate way to stay on top of their grades and track their GPA. And updates and improvements keep users happy: “Best grades app for android, has only gotten better with updates” – Robert. Grade Tracker Pro has truly risen through the ranks in a saturated market to become arguably the best grade tracking app for Android. To what can we attribute this success? 1) Free! Grade Tracker Pro is completely free with no ads or in-app purchases. 2) Robust Features – Students can account for any situation with unlimited grades, weighted categories, custom grade scales, multiple semesters, extra credit, rounding, and much, much more. One of its most-loved features is a Grade Calculator, which can predict what a student needs on their next grade to achieve a certain average. 3) Beautiful Design – Recent updates have incorporated Android’s Material Design, making for a beautiful and fluid user experience. 5) FAQ – The app includes an extensive FAQ to address any concerns. Not only is it informative, but it is kind of funny, too! The developer, Noah, at NSouthProductions is an Android hobbyist, developing Grade Tracker Pro and other high-quality education-related apps in his spare time. NSouthProductions has promised to continue updates and improvements as the app becomes more ubiquitous and the user base clamours for more features. Rumoured improvements include support for pass/fail classes, the ability to set grade goals, assignment reminders, and more.